New York today moved forward with a $40 million microgrid competition for communities, an idea introduced by Governor Andrew Cuomo in his state-of-the-state address in January. Called NY Prize, the competition will begin this fall. The New York State Energy Research and Development Authority will offer the money to communities, businesses, entrepreneurs, and electric utilities that plan to develop community microgrids. Stay on top of opportunities like NY Prize by following us on twitter @MicrogridNews. NY Prize will seek microgrids that can be replicated. The state hopes the chosen microgrid projects will serve as models for other communities nationwide. Entries also will be evaluated based on their transparency, feasibility and design requirements. 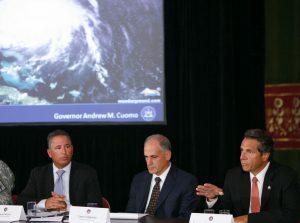 The state defines microgrids as local energy networks that are able to fully separate from the larger electrical grid during extreme weather events and emergencies. In a crisis, community microgrids can provide vital public services and power to residential customers, hospitals, emergency workers, water treatment facilities and other critical services. 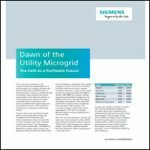 New York leads the Northeast in microgrid installations, with 75 microgrid deployments and 200 MW of installed microgrid capacity, according to GTM Research. “Local energy issues require local energy solutions. NY Prize is a creative initiative that will reshape how New York approaches its energy system’s resiliency and reliability needs, using community resources to address a statewide challenge,” said John Rhodes, NYSERDA president and CEO. Micah Kotch, new director of NY Prize and strategic adviser for innovation, will design, and oversee NY Prize. He joins NY Prize after serving five years as director of innovation and entrepreneurship and executive director of the New York City Accelerator for a Clean and Resilient Economy (NYC ACRE) at New York University’s Polytechnic School of Engineering. John Saintcross will act as assistant director of NY Prize. He was instrumental in the design and execution of New York’s renewable portfolio standard, and manages NYSERDA’s nationally-recognized smart grid research and development efforts. The NY Prize leadership team plans to join utility partners, state officials, and others on a state tour this fall to engage communities in the process. More details are available at the NY Prize website.